“The Power is Yours,” according to my old friend Captain Planet. Now, the power really is yours. After prompting from the National Resources Defense Council, Microsoft will be making a change to the initial boot-up options on the Xbox One across all markets. Previously, some markets – particularly European ones – would prompt users to select from the Xbox One’s two power modes. Instant-on and Energy-saving would be presented side by side, allowing you to select one or the other. In the United States, there isn’t any regulation requiring electronics to offer the lower consumption modes by default, so of course Microsoft wanted everyone using the more convenient option. In the coming months, though, Microsoft says the boot-up configuration seen above will come as the default on all new Xbox One consoles. 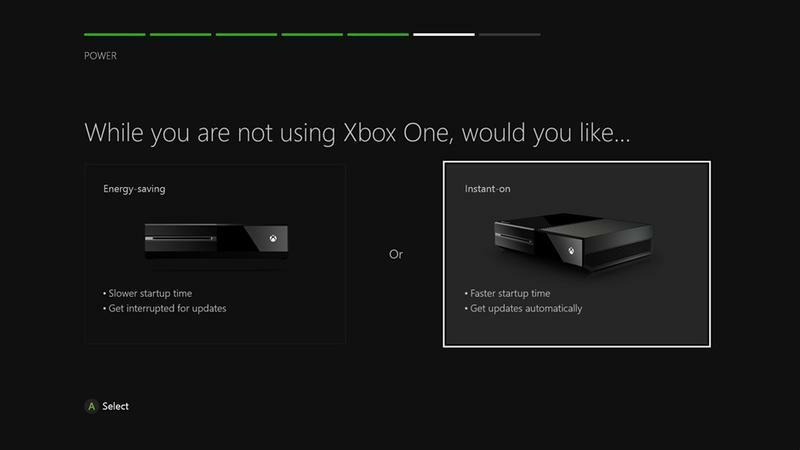 Instant-on is still an option, and this won’t change any Xbox One consoles already in homes, so if you prefer to use Instant-on, nothing will change for you. For those of us who use our Xbox One systems all the time, instant-on is a great option. Many homes, though, don’t run their cable boxes through their Xbox One systems or turn their systems on every day for gaming, so the lower power energy-saving setting will make a lot of sense. When the NRDC put out their initial report, they described the power consumed by the Xbox One’s instant-on mode, assisted a bit by other consoles, as being equivalent to that needed to light up Houston, one of the bigger cities in the United States, for a year. Put in that perspective, with the knowledge that the console is only a year and a half old, this option could save a few years worth of Houstons through the rest of its life. That’s anything but insignificant.